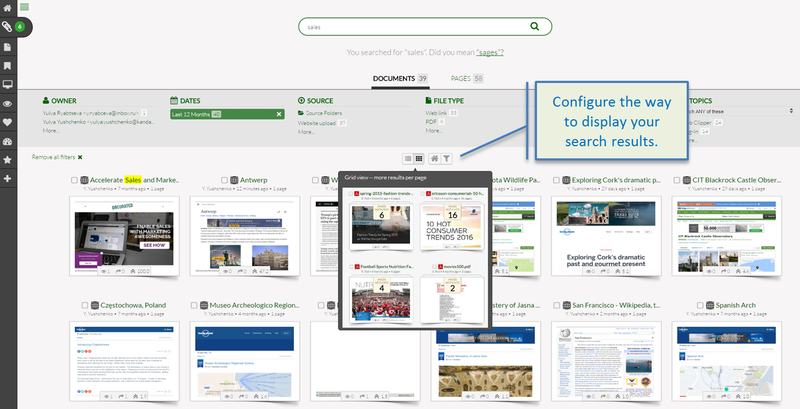 Configuring display settings for search results. : Quark Software Inc.
Click the "List View" or "Grid View" icon to select the way your search results will display. To save a set of search results as your homepage, click the home icon under the filters. To save the currently applied filters as the default filters for future searches, click the funnel icon under the filters.